The 19th Air Division is an inactive United States Air Force unit. Its last assignment was with Eighth Air Force at Carswell Air Force Base, Texas, where it was inactivated on 30 September 1988. During World War II, the unit was designated as IX Bomber Command and was the command and control organization for Ninth Air Force in the Western Desert Campaign. Using predominantly B-24 Liberator heavy and B-25 Mitchell medium bombers, it supported the British Eighth Army against the German Afrika Korps from airfields ranging from Palestine in 1942 across North Africa to the final defeat of German forces in the Tunisia Campaign in May 1943. Later, during the 1944 Battle of Normandy and the 1945 Western Allied invasion of Germany, as the 9th Bombardment Division, the unit directed B-26 Marauder medium bombers in tactical roles supporting Allied ground forces from D-Day to V-E Day. During the 1930s the 19th Wing participated in maneuvers, flew patrol missions, made good will flights to Central American and South American countries, and flew mercy missions in South America. In January 1939, it flew missions to aid earthquake victims in Santiago, Chile. It was redesignated as the 19th Bombardment Wing on 19 October 1940 as the United States prepared for a possible war. By late August 1941, a total of 71 aircraft, consisting of B-18 Bolos; B-17B Flying Fortresses; A-20 Havocs, and A-17A Nomads were assigned to various groups under its control. It was replaced by the 13th Bombardment Wing in an administrative reorganization of the Panama Canal Air Force on 25 October 1941. * Formed from HALPRO components along with personnel and equipment sent from Tenth Air Force. B-17s which were assigned were determined to be non-operational and never used in combat. IX Bomber Command was quickly put together in late 1942 to aid the British Eighth Army's drive west from Egypt into Libya against Rommel's Afrika Corps during the Western Desert Campaign. It consisted of units and aircraft put together for an attack on Japan which was canceled after the Burma Road was captured by Japanese forces, making its planned base in China unable to support the attack (HALPRO Mission); by Pearl Harbor Attack and Philippines survivor early model B-17 Flying Fortresses that had been sent from Australia, and by some early B-24 Liberator and B-25 Mitchells which were sent across the South Atlantic Transport route from Morrison Field, Florida, via Brazil and across Central Africa via Sudan. The United States Army Air Forces (USAAF) began planning for a buildup of American air power in the Middle East in January 1942 in response to a request from the British Chief of the Air Staff. The initial unit to arrive was given the codename "Halverson Project" (HALPRO). It was under the command of Colonel Harry A. Halverson (formerly Brig Gen Billy Mitchell's Executive Officer) and consisted of twenty-three B-24D Liberator heavy bombers with hand-picked crews. It had initially been assigned to the China Burma India Theatre to attack Japan from airfields in China, but after the fall of Rangoon, the Burma Road was cut, so the detachment could not be logistically supported in China. HALPRO's first mission was flown on 12 June 1942 against the Romanian oil facilities at Ploieşti. Thirteen B-24s flew this first U.S. mission against a European target, causing negligible damage. On 15 June, seven planes assisted the Royal Air Force (RAF) in attacking an Italian fleet which had put to sea to intercept a British resupply convoy (Operation Vigorous) on its way to Malta. HALPRO then flew in support of British Commonwealth forces fighting in the deserts of Egypt and Libya on the eastern end of the Sahara Desert (the British term Western Desert refers to the Sahara being to the west of Egypt). HALPRO's primary mission became the interdiction of supplies to Rommel's Army in North Africa by bombing strikes on Axis cargo ships at sea or in the ports of Tobruk and Benghazi. Reinforced during early 1943, its subordinate units attacked enemy storage areas, motor transports, troop concentrations, airdromes, bridges, shipping, and other targets in Libya, Tunisia, and other areas. In May 1943 after the Tunisian Campaign ended, Tunisia became available for launching attacks on Pantelleria (Operation Corkscrew), Sicily (Operation Husky), and mainland Italy. The command attacked airfields and rail facilities in Sicily and took part in Operation Husky, carried paratroopers, and flew reinforcements to ground units on the island. Heavy bomb units of the Ninth also participated in the famed low-level assault on oil refineries at Ploesti (Operation Tidal Wave) Romania on 1 August 1943. Later in August 1943, it was decided to reassign Ninth Air Force to England to be the tactical air force in the planned invasion of France scheduled for May 1944. The IX Bomber Command reassigned its groups to Twelfth Air Force, and eventually its heavy bombardment groups became the core of the newly activated Fifteenth Air Force, while its B-25 Mitchell medium bomber groups remained with Twelfth Air Force. The command's headquarters at Soluch Airfield, Libya, was inactivated on 1 October 1943. In England, and later on the continent after D-Day, IX Bomber Command became the medium bomber component of Ninth Air Force. Its initial mission was attack to German Atlantic Wall defenses along the English Channel coast of France. After D-Day, its primary mission was changed to fly tactical bombardment missions supporting Allied ground forces as they advanced from the Normandy Beaches across France into Germany. In addition, it attacked enemy airfields in Nazi-occupied areas in support of Eighth Air Force strategic bombing missions as well as operations against German V-weapon sites. Additional missions involved attacks on rail marshaling yards, railroads, airfields, industrial plants, military installations, and other enemy targets in France, Belgium, and the Netherlands. It was redesignated as the 9th Bombardment Division, Medium on 30 August 1944. The last combat missions was flown on 3 May 1945 by the 386th, 391st, 409th & 410th Bomb Groups. Redesignated as the 19th Bombardment Wing, it served another brief period with the reserve from 1946–1949, carrying out routine training activities. 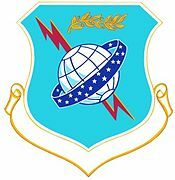 It was redesignated again and activated at Carswell Air Force Base, Texas in February 1951 as the 19th Air Division, part of Strategic Air Command (SAC). It commanded the two Convair B-36 Peacemaker wings at Carswell, the 7th and 11th Bombardment Wings. By September 1952, the B-36s assigned to the 7th and 11th Wings comprised two thirds of SAC's intercontinental bomber force. These same units were later equipped with B-52 Stratofortress and KC-135 Stratotanker aircraft training in global strategic-bombardment and air-refueling operations. In 1959, the 3958th Operational Training and Evaluation Squadron was reassigned to the division from SAC headquarters. At the same time the squadron was upgraded to a group and assigned the 3958th Combat Crew Training Squadron and the 3958th Consolidated Aircraft Maintenance Squadron. The 3958th, along with its counterpart 6592d Test Squadron of Air Research and Development Command, representatives of Air Materiel Command, Convair and other contractors formed the Convair B-58 Hustler test force, and, at the time of the 3958th's transfer, was involved in Category II testing of the B-58. This testing phase included tests of aircraft subsystems and its J79 engines. Before Category II tests were completed, seven aircraft were lost. Category II tests, led by the 6592d, were completed by the end of June 1960, and, Category III tests (operational testing) began in August. These tests were conducted primarily by the division's 43d Bombardment Wing (Carswell AFB, Ft. Worth, Texas) with the technical assistance of the remainder of test force. In anticipation of its expanded testing and crew-training mission for the Hustler, SAC had inactivated the 3958th and transferred its mission, personnel and equipment to the 43d Bomb Wing. In January 1967, the division began deploying B-52 aircraft and aircrews to Southeast Asia for combat operations, continuing until 1973. In 1975, the 19th provided air-refueling support for the evacuation of Vietnamese and Americans from South Vietnam. With the end of the Vietnam War, the division began transitioning control of most of its B-52 wings (with the exception of the 7th Bombardment Wing at Carswell AFB) into KC-135 Stratotanker air refueling and LGM-25C Titan II ICBM wings. With the retirement of the Titan II in 1987, the 19th Air Division was itself inactivated in September 1988. ^ One plane was written off, another was bailed to Convair to be used for experiments with nuclear power. McGowan, p. 65. ^ a b McGowan, Sam (October 2016). "The Carswell B-36 Disaster" (PDF). Air Force Magazine. Retrieved 5 April 2017. ^ a b c d e f g "Factsheet 19 Air Division". Air Force Historical Research Agency. 4 October 2007. Archived from the original on 22 October 2012. Retrieved 6 April 2014.